It's been a little while since I originally posted about Sweet Freedom Bakery (original post here). I was recently in Philadelphia and, based on the enormously positive reaction of my brother, Jeff, and Morgan, his girlfriend, after their visit to the bakery, knew that it was on my list of places to go. After a rather simple red eye flight (no crying babies, had the aisle, sneaked in some sleep), we headed to breakfast at Marathon Grill. I ordered a light breakfast because I knew the big stop of the day was up next. My brother was dying to take me to Sweet Freedom. He's never been to Babycakes with me so he didn't have a yardstick with which to compare gluten free baked goods, but the fact that he would willingly go to the bakery and eat the products knowing they were gluten free spoke to the quality of the treats. We were some of the first customers and asked a lot of questions to the girl working behind the counter. What did she recommend? What else does the bakery make? What is business like? Do you have a lot of foot traffic visiting? She graciously answered all of our questions and helped guide us through some of the options. Morgan and Jeff were the veterans there to help me in my decision-making (and to have snacks for themselves, of course). On that first trip we shared a slice of banana chocolate chip loaf, a cookiewich, and some other assorted items. Probably more important than what I ordered is how the items were. They were astonishingly delectable -- awesomely moist as I remember gluten-filled baked goods while still being good for those of us with sensitive stomachs. 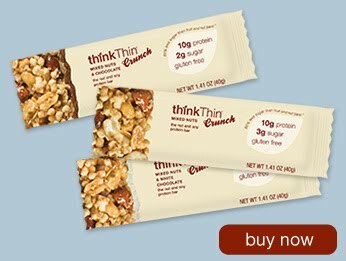 The entire bakery is free of corn, gluten, eggs, dairy, soy, peanuts and refined sugars. Days later, as I sit here and write this, I'm still reeling from how delicious Sweet Freedom's baked goods are without having any of that nasty stuff listed above. I also appreciate that the bakery lists the ingredients of each of its products. Of course, my visit to Philadelphia wouldn't be complete with just one stop at Sweet Freedom. No, I had to go back for more with my sister Alyssa when she arrived. When I visited with Alyssa it was a Friday afternoon and the shop had mint chocolate chip cookie sandwiches. Mouthwatering, insanely succulent cooke sandwiches, that is. This may be pushing... but I visited the bakery for a third time. I just couldn't get enough! My family and I had an early breakfast on Sunday morning before they went out to the 'burbs and I was left to fend for myself in the city. My flight was at 4pm, so I didn't need to be at the airport until about 2pm -- plenty of time to walk over to Sweet Freedom's location. They had a delicious chocolate crumble cake being served up -- how could I say no? 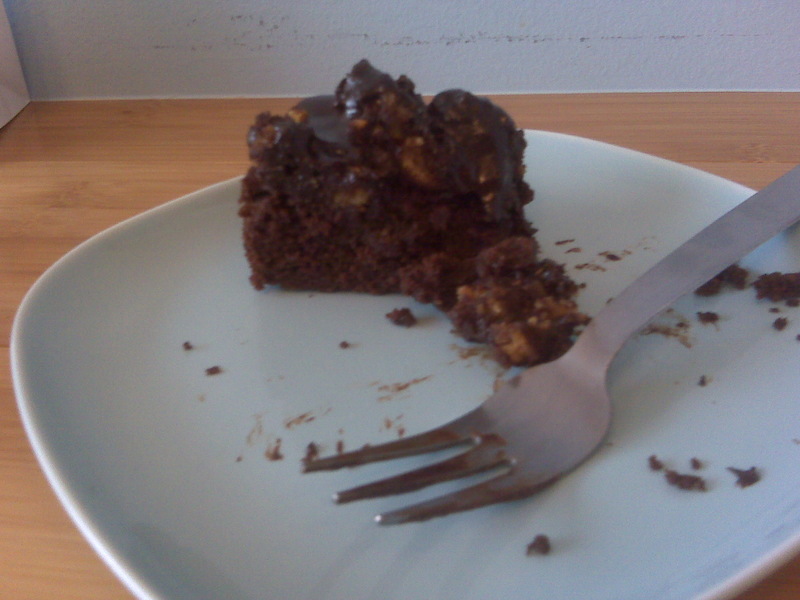 The photo to the left is the half-eaten slice of chocolate crumble cake that I indulged in. Every single item I tried from this shop was amazing, there wasn't one stinker. Oh, well... I didn't love the magic bars, but that was more my personal preference instead of the bakery's skills with the ovens. As I talked to the co-owner, I tried to convince her to open up a shop in Los Angeles. She said she was more prone to open in La Jolla down by San Diego. 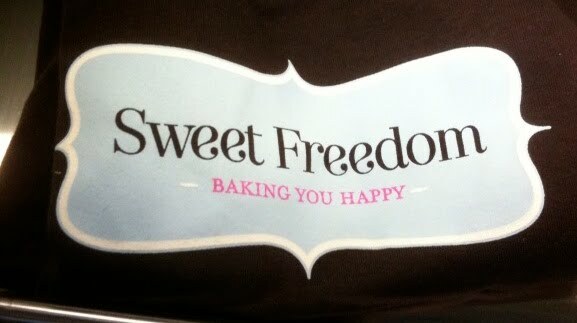 I'd accept that, if only so I could have Sweet Freedom Bakery's awesome treats a little closer to home. They do ship nationwide, but shipping charges to Los Angeles looked a bit steep: $60-something dollars for overnight shipping. Eek! Next time you're in D.C. or New York City and are thinking of a day trip, why not make your way to Philly and indulge in some awesome treats? It's relatively close and I really enjoyed my time in the city. There's so much history there and it's small enough to be totally walkable. Yeesh -- it's been so long since I've posted that I think my web browser has forgot how to load Blogger! I truly apologize for the delay; final exams consumed my life from Mid-April to Mid-May and I've been traveling from coast to coast recently. I have a ton of great posts lined up for next week so you have that to look forward to. 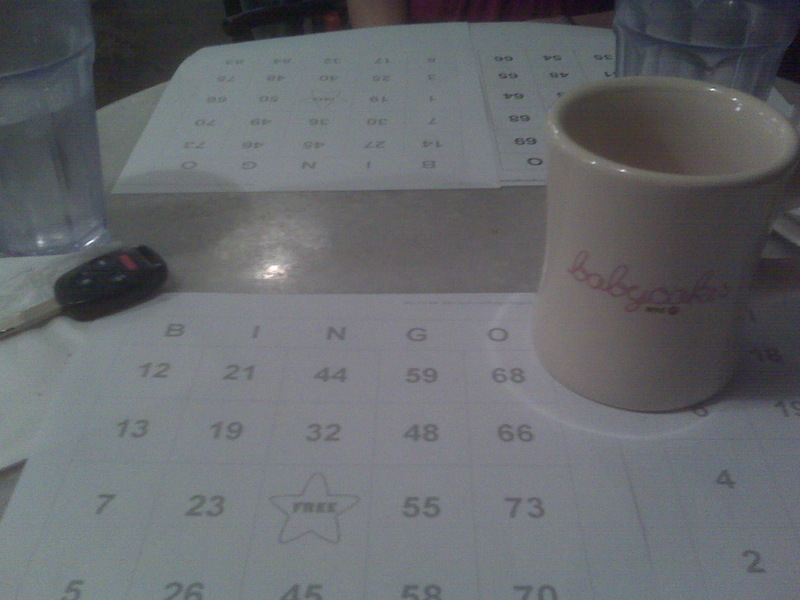 In the meantime, I was fortunate to attend Babycakes' inaugural Babycakes Bingo tonight. 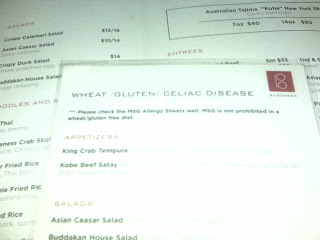 It is always a party when I visit Babycakes, making it one of my favorite gluten free spots in Los Angeles. The people who work at Babycakes make the place a great place to visit as they are friendly, knowledgeable about gluten sensitivities, and generally nice people. The design of the store is also cool and, of course, I'd be remiss if I didn't mention that the treats are out-of-this-world amazing. Tonight I brought my friend Lauren along for the ride. Lauren's a picky eater -- last week I invited her to the opening of a raw vegan restaurant in Echo Park and she opted not to attend because she didn't think she could handle it. OK OK fine, raw and vegan might be a lot to handle, but I'm very proud of Lauren for checking out Babycakes since there are no dead animals in any of the bakery's products. 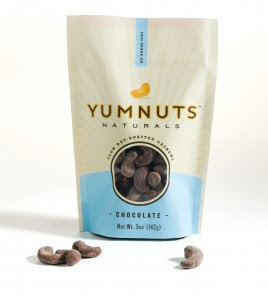 Somehow they accomplish magical taste without dead animals -- crazy! Anyways, back to bingo: I've been tweeting with Babycakes' L.A. location and, after a little back and forth, tonight was confirmed as the first Bingo night. Lauren and I showed up with time to spare before the 8pm start. We split a cookie sandwich (divine) and a brownie mint cupcake (my personal favorite cupcake) before the games started. For every $2 that you spend, you get a bingo card! In total we played four games. Lauren and I make a great team, as we won three of those four games! For each game we won we were given two cupcakes. For the first round we opted for a strawberry and an orange cupcake. The strawberry cupcake was unbelievable! The frosting was fresh and smooth and the cupcake itself packed a powerful strawberry flavor that made my night. I didn't love the orange one as much (sorry!) but strawberry is now competing with brownie mint as my personal favorite Babycakes cupcake. It may be a duel to the death. The bingo games were accompanied by riddles, jokes, crowd shout outs, and a generally lively atmosphere. I told my friend Lauren that I might make her join me for tequila shots down the street at the new bar Las Perlas before we head to Babycakes next time so we liven up the crowd. For the first night, there was definitely a good showing of people. For the second and third rounds of cupcakes we chose a vanilla cupcake with vanilla frosting, a chocolate cupcake with chocolate frosting, and two strawberries. I indulged myself and had the chocolate cupcake right there in Babycakes; we took the rest to go. Babycakes will be holding its Bingo every Tuesday night from 8pm-9pm. I know I'll be there frequently -- hope to see you there too! Today as I was printing out articles from various internet news sources I was frustrated that certain sites didn't have a simple "Print" button that removed the images and gave me only the text. I decided to add a simple "Print" button to my blog -- you can find it at the bottom of every post from now on. Let me know how it works for you -- I've been testing it out and am happy with it so far. It will be useful if you need to print out any recipes (more of which I'll be publishing this summer) or any other posts. I'm really excited to print out my sister's Death by Chocolate recipe and make it for a Memorial Day BBQ!